Lounge chairs, daybeds and cabanas. 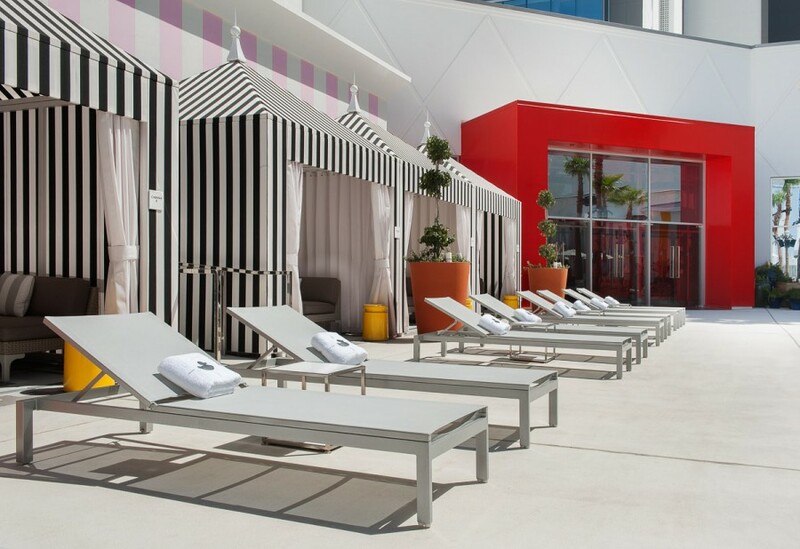 Situated in the famous SLS Las Vegas, the Foxtail Pool & Nightclub is a combination of style, luxury and sophistication. During the day, the upscale venue is busy hosting special events, private parties and pool festivities that serve as a lavish amenity to hotel guests. Whether you’re enjoying the sun on your skin or splashing in the pool, Pool Club goers can enjoy a wide range of services, from delicious culinary creations to relaxing cabana service. Learn more about this popular Las Vegas hotspot and all it has to offer. If you’re in the mood to mix and mingle with some of Vegas’ finest, head to SLS Las Vegas near the center of the resort on the ground floor. You must be 21 years of age or older to enter, and should be dressed in trendy pool attire. The upscale party vibe of the venue is perfect for long days of relaxation during the summer months. In addition to the expansive pool, adults-only crowd, and delicious beverages and food, guests can also find some of the city’s top DJs performing on the huge stage on the outdoor deck. As the DJ plays, the giant LED screens that surround the stage deck create a visually stunning show that makes every performance appear livelier. While the Pool Club is no doubt a day club, the performances and overall atmosphere give the establishment a nightclub feel. 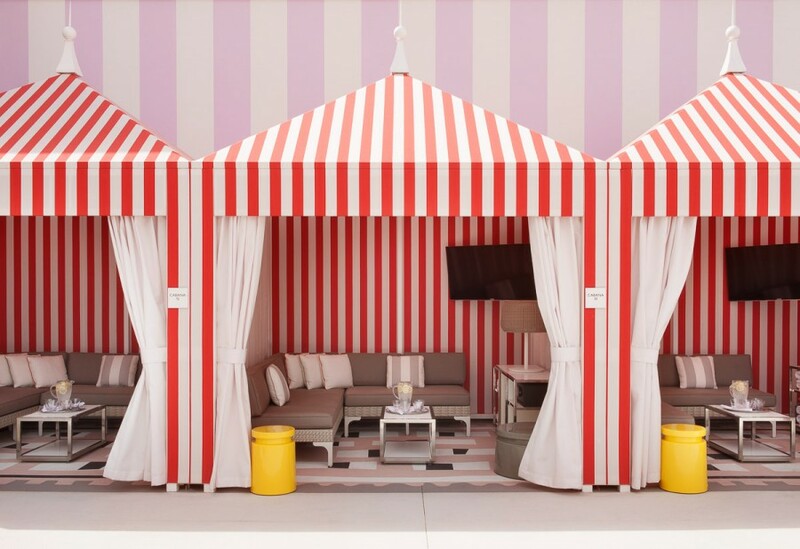 When you need to take a seat, grab a beautiful cabana or one of the lounge chairs that line the pool. Up front by the stage is a dancing area for guests who prefer to live it up. Of course, sunbathing is also an option at Foxtail. Lily pads can be found in the shallow region of water for guests to lay in the sun. The island in the center of the pool is also perfect for just dangling your feet while you converse with other party-goers. Bridges and bars split the expansive pool in two. One of the best things about the venue is the amount of space. No need to just stand in one spot. Grab a drink from the bar and stroll around the spacious pool area. There’s much to discover and love after just one visit to this Las Vegas favorite. The club can easily accommodate up to 2,000 guests, offers multiple full-service bars, and adjacent parking is available in a garage. Another perk? The hotel tower acts as canvases for 3D mapping and other amazing content. When you get hungry, there’s no need to leave. The venue services a premier menu of American and seaside classics created by Chef Luke Forzano. The open-format nightclub and expansive outdoor pool area consists of a creative design created by Philippe Starck in collaboration with Gensler. 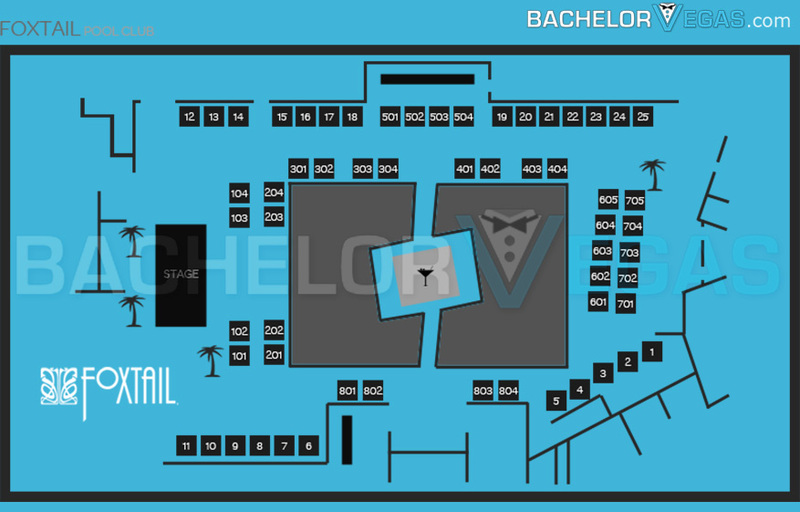 With more than 8,000 square-feet of intimate indoor space, the venue creates a happening hangout both day and night. Inside the club, guests can find 28 VIP tables, the latest in LED technology, elaborate chandeliers, and a display of street art created by professional calligrapher Tarek Benaoum. The club also hosts blackjack tables and custom-crafted cocktails. 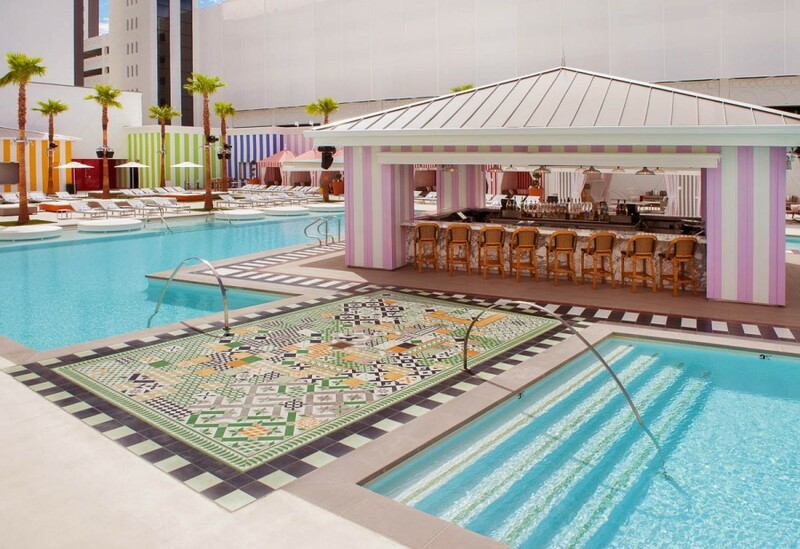 With pool season upon us, it’s time to experience the amazing party atmosphere available only in this Las Vegas club. 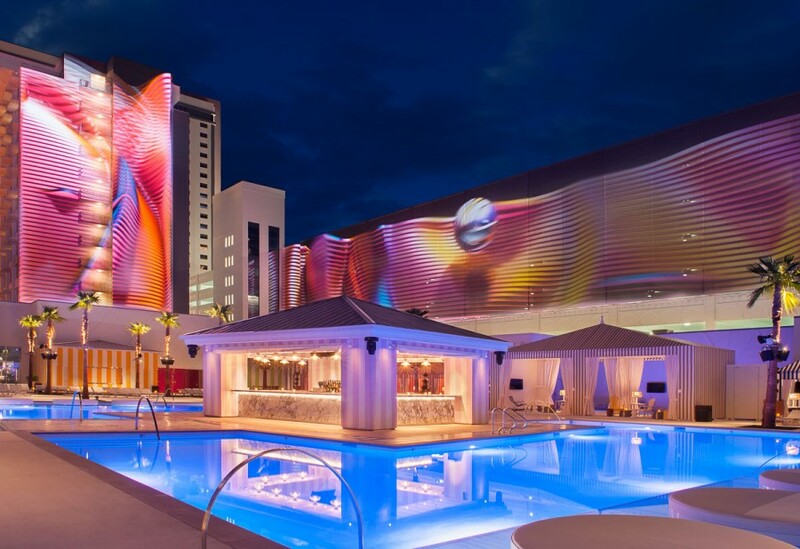 While the pool party just opened in March of 2015, it has already seen a lineup of amazing DJs, droves of guests, and some of the greatest parties in Las Vegas. 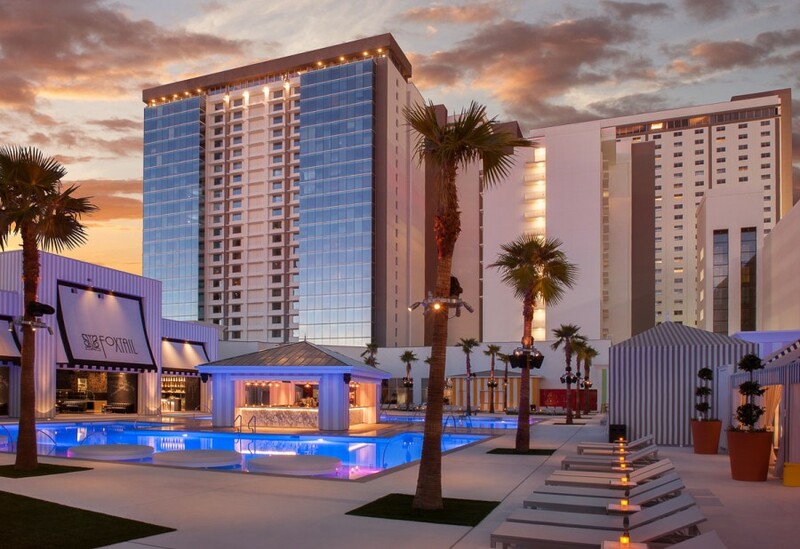 If you have yet to check out one of Las Vegas’ most frequented pool party spots, save time this summer to make an appearance. Remember to stick around until night to experience the club’s nightlife. 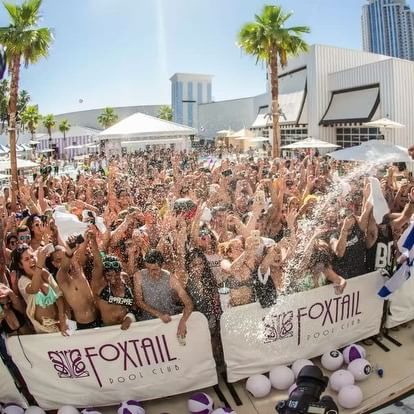 Been to Foxtail Pool Club? 5.0 on Feb 20, review by Claire E.